Yep! You heard it here first Folks! Chapter 5 will start in September! This Hiatus has been a little longer, but I’ve been working on something that will benefit the webcomic in the long run. So thank you all for being patient. I will continue to post Q & A Answers from time to time to keep the feed alive until September rolls around. Till then, I really can’t say this enough. 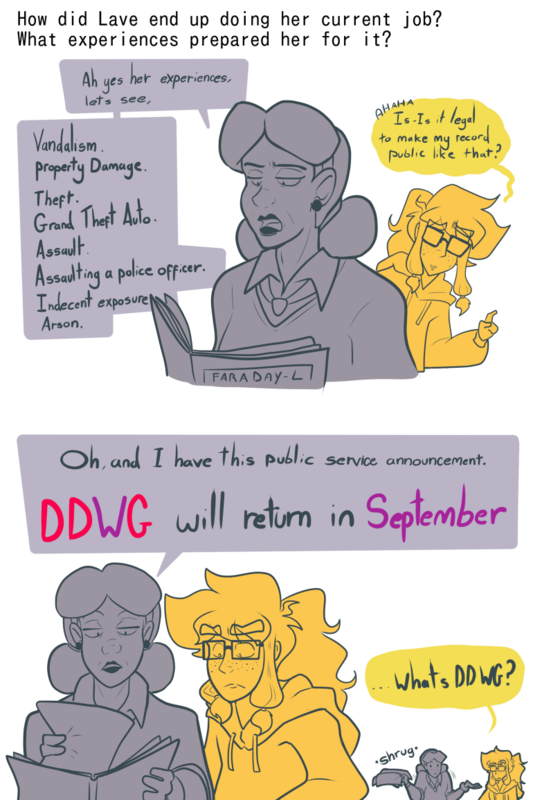 But Thank you for sticking with DDWG for as long as you have guys! Seriously I love ya!